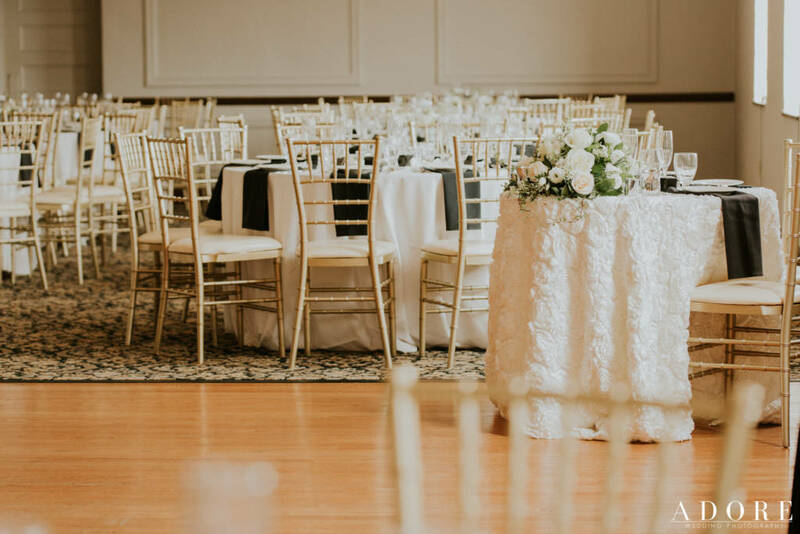 Browse through the images below to see the amazing options for all of our rooms. 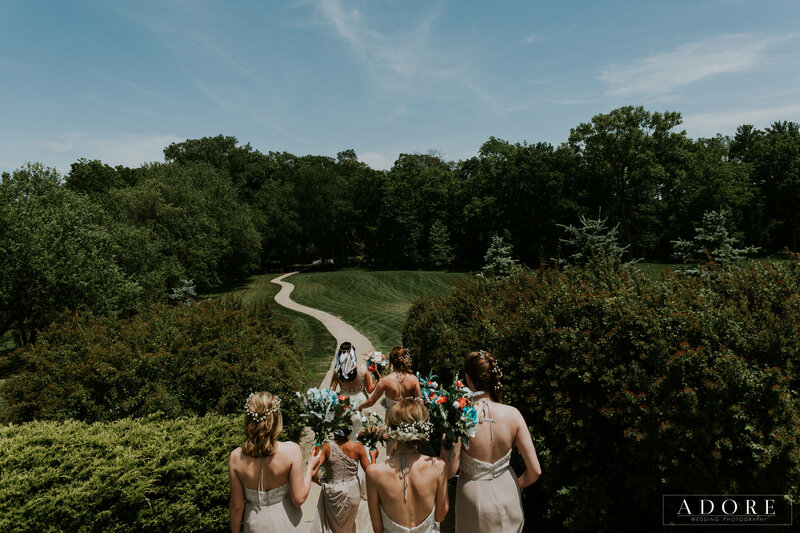 Schedule a tour to see for yourself! Call us at 419.832.2900. 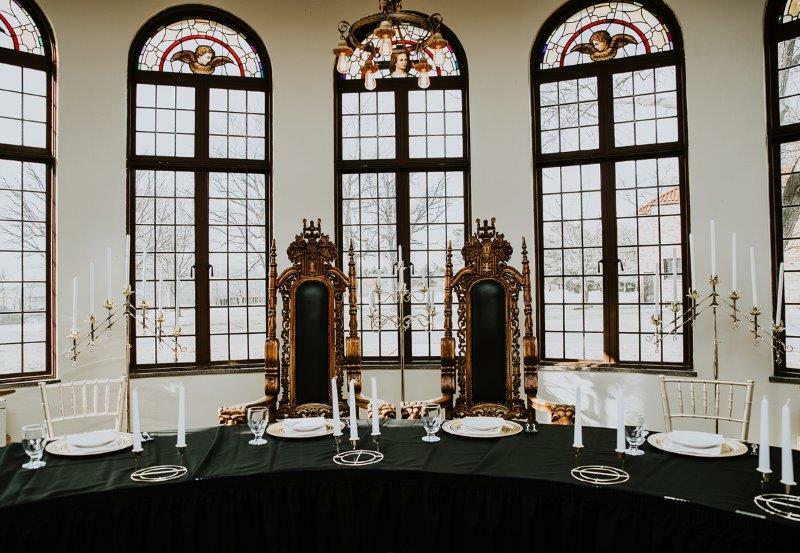 At Nazareth Hall, we offer 3 different banquet rooms, 4 meeting spaces, two outdoor ceremony locations, as well as a 4-bedroom, private cottage available for rent. 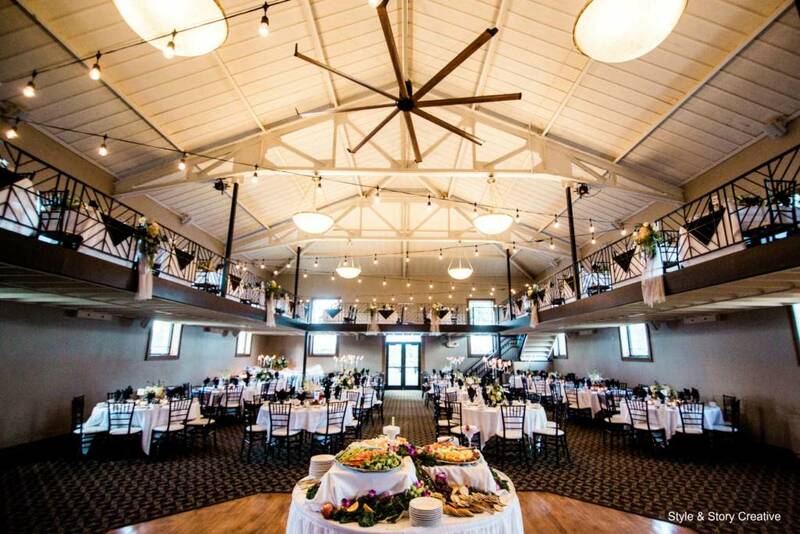 Ballroom rental prices are waived November-April and are discounted on Fridays and Sundays May-October! 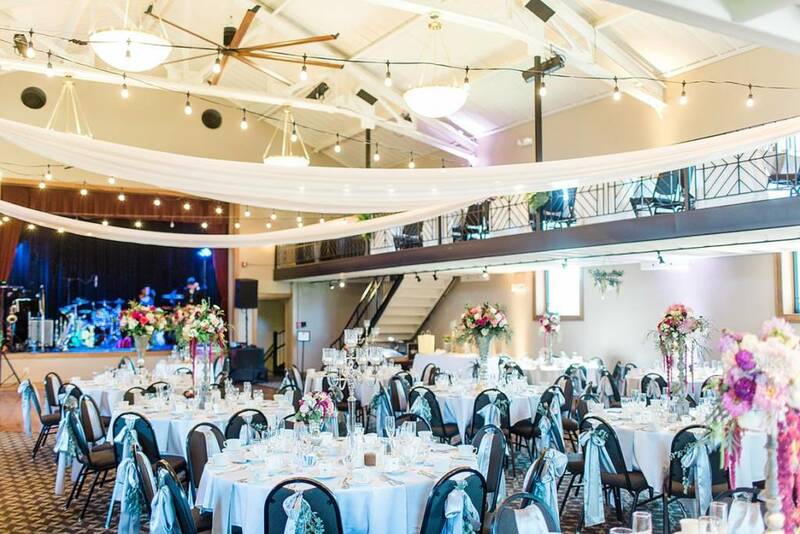 Please talk to an event coordinator for more details. 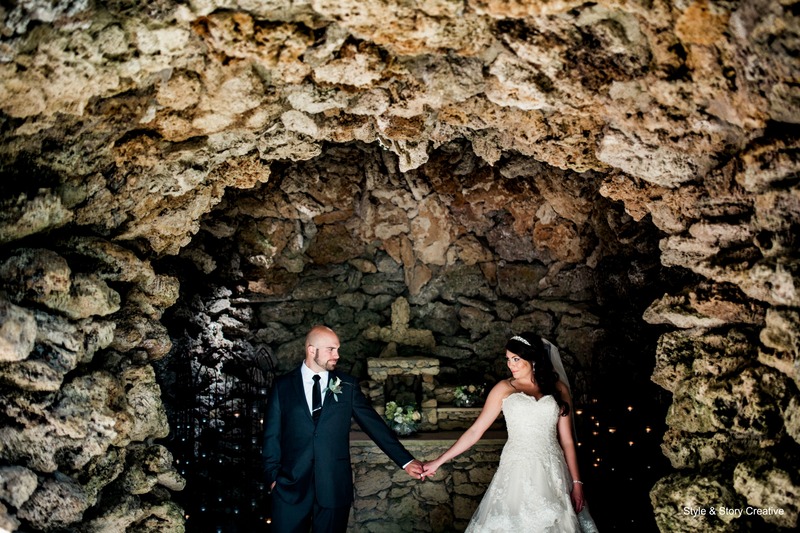 Our charming grotto is a replica of the famed grotto located in Lourdes, France. 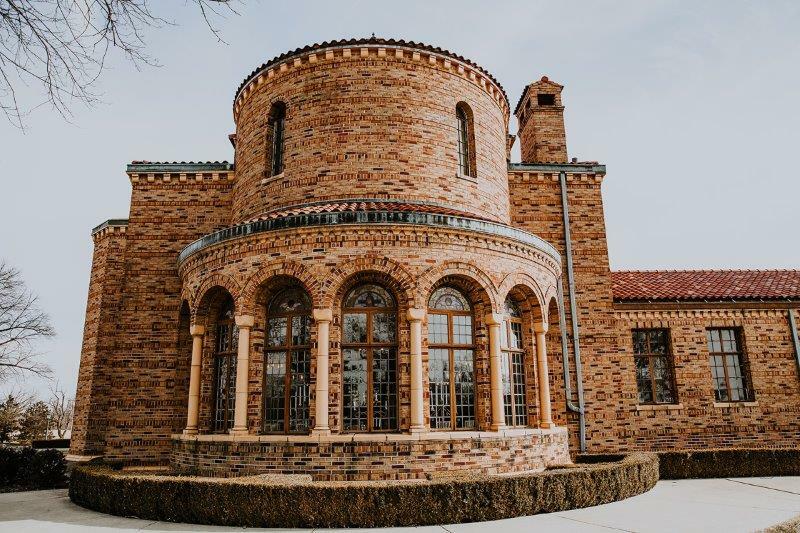 To create the Nazareth Hall grotto in the late 1920s, builders used coral formations imported from the Mediterranean Sea. 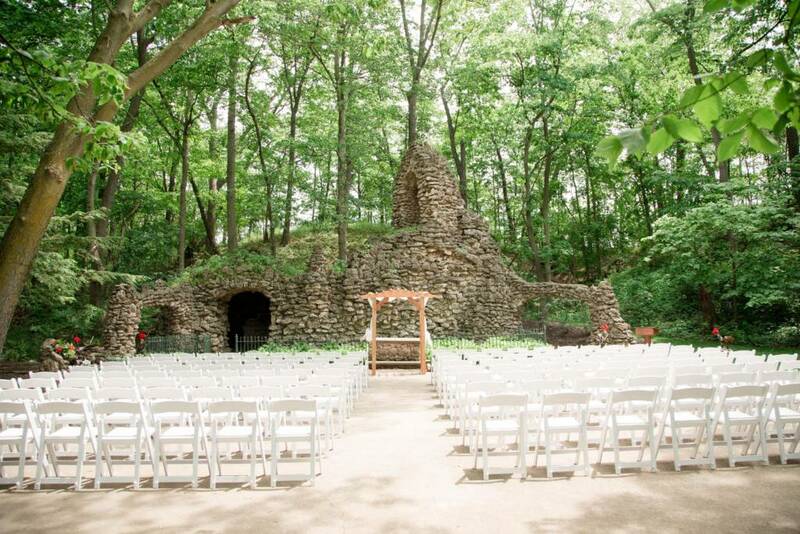 The grotto is set in a wooded grove next to a small stream, providing guests with a sense of serenity. The grotto’s natural beauty adds a calming quality to any event and is ideal for an outdoor wedding ceremony. The site is a short, but pleasant walk across the lush grounds of Nazareth Hall and over a picturesque bridge. 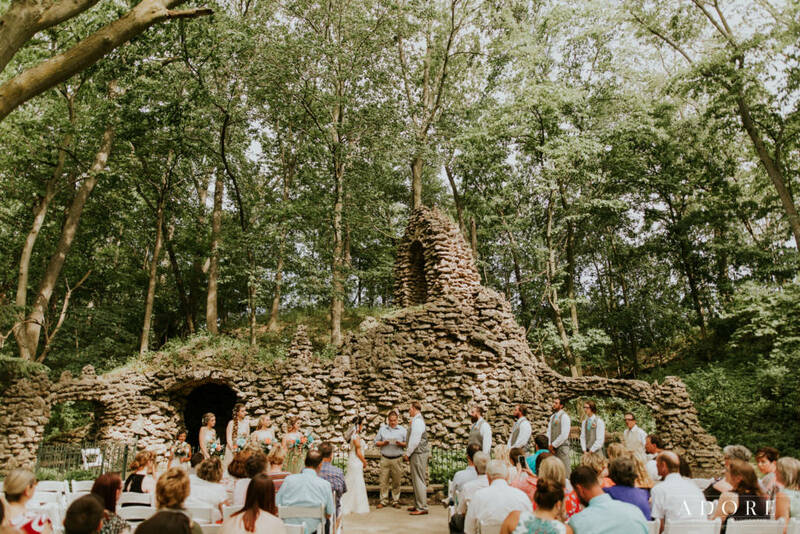 Your hostess will operate a golf cart for any guests with special needs. 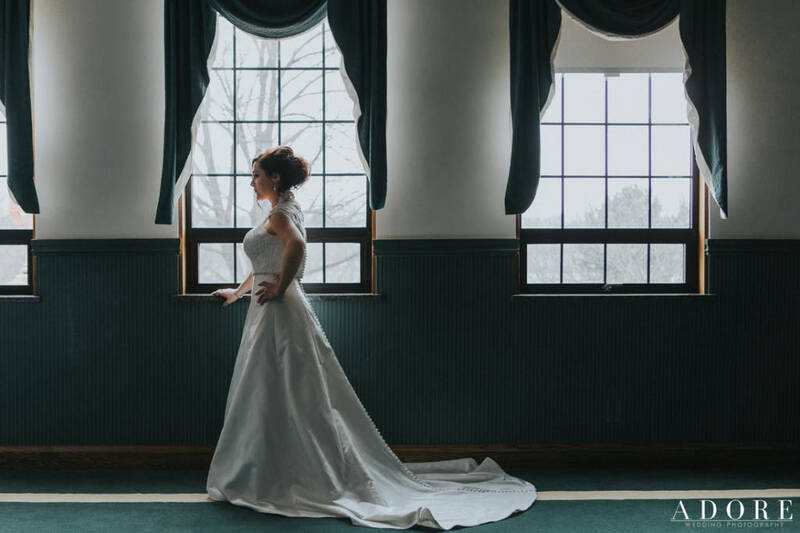 Should weather become an issue, Nazareth Hall’s staff will work with couples to provide a back-up venue option inside the building. 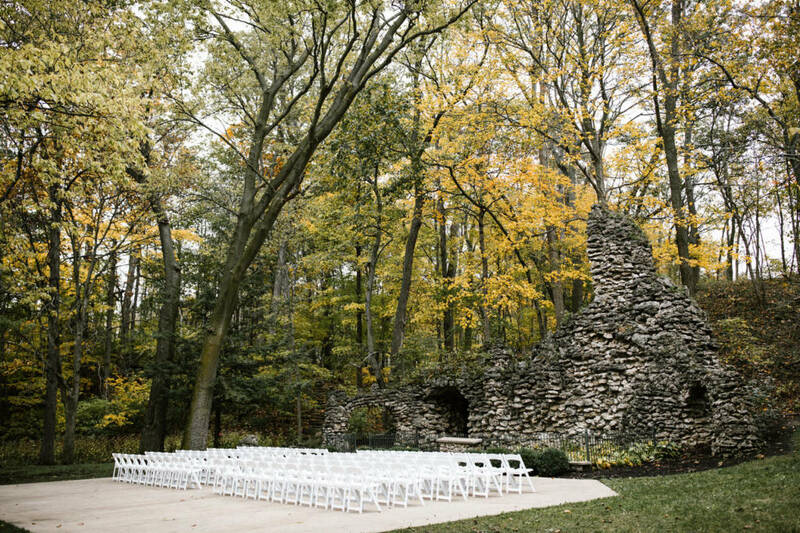 Our quaint non-denominational chapel radiates warmth and offers plenty of seating for family and friends during your special day. 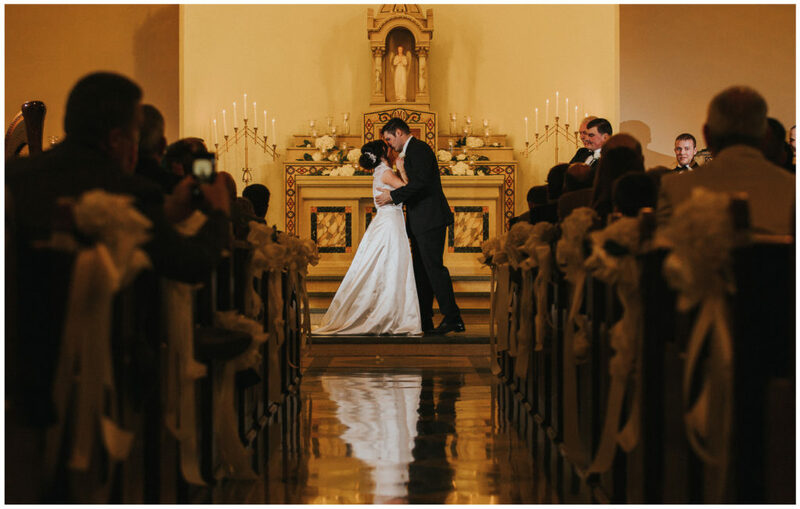 The original stained-glass windows and gold mosaic altar provide elegance, while the chapel’s simple decor and neutral tones have a subtle charm. 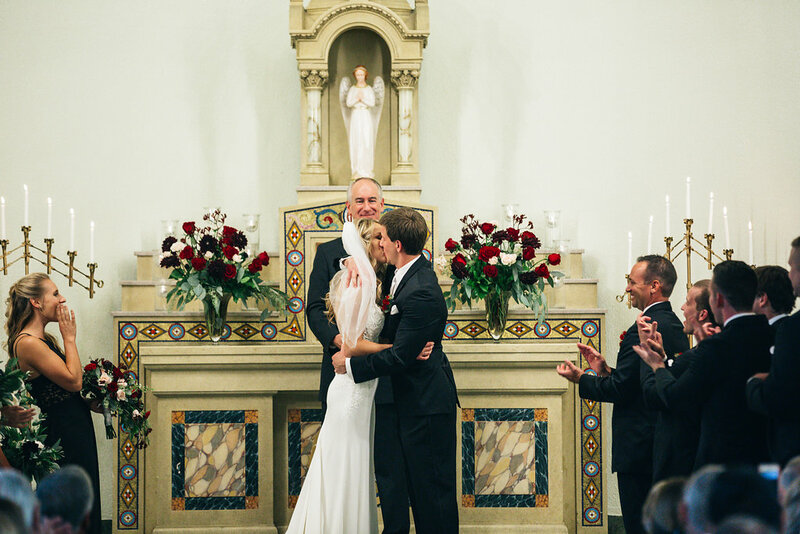 The simplicity of our chapel allows you freedom in choosing floral decorations specific to your color palette. 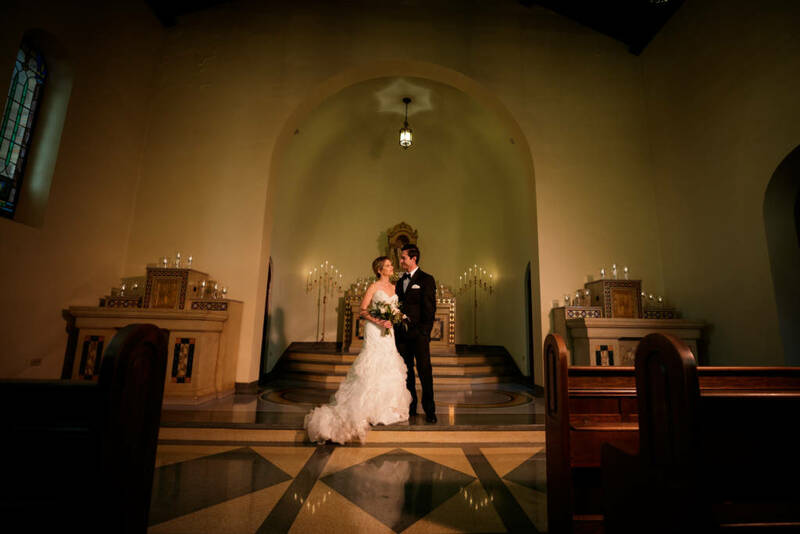 The combination of elegance and simplicity make the chapel an ideal wedding venue. 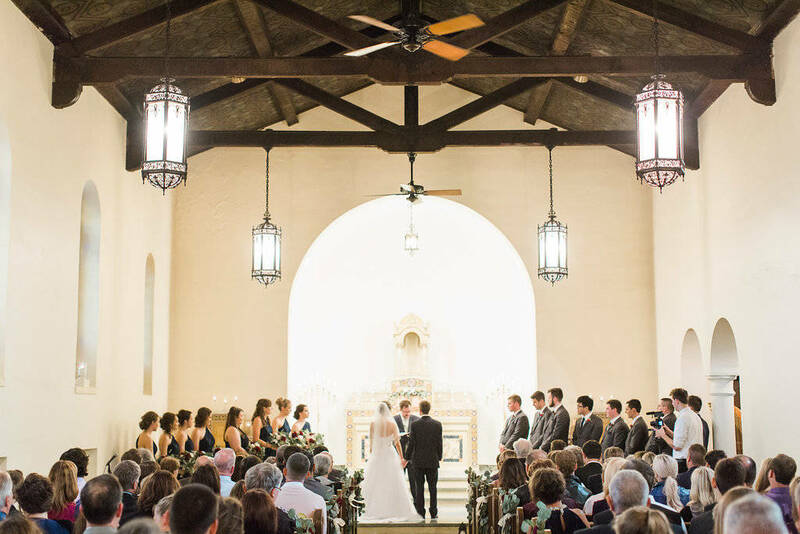 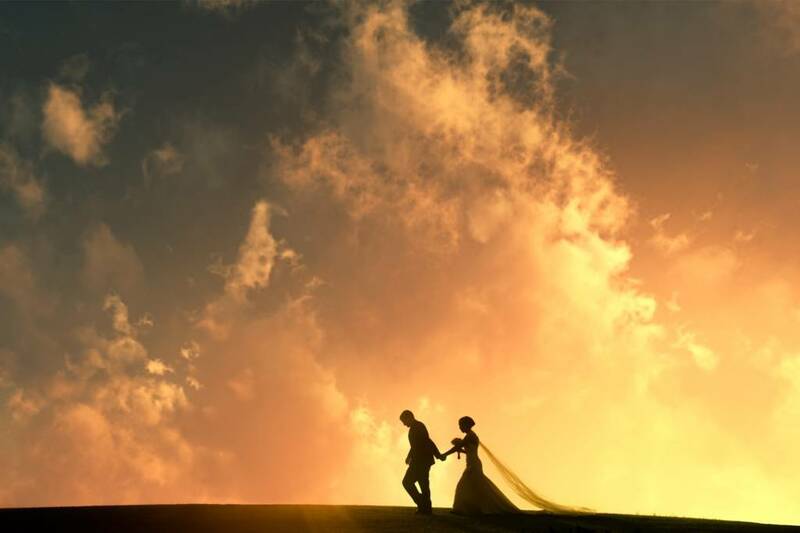 The chapel will also satisfy couples who wish to get married in a church-like setting, but without religious obligations. 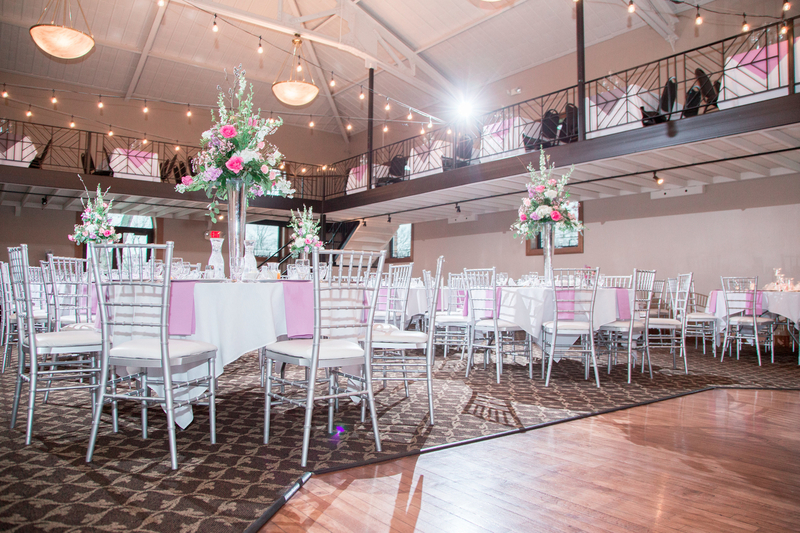 Our Ladyglen East Ballroom is full of subtle sophistication and versatility. 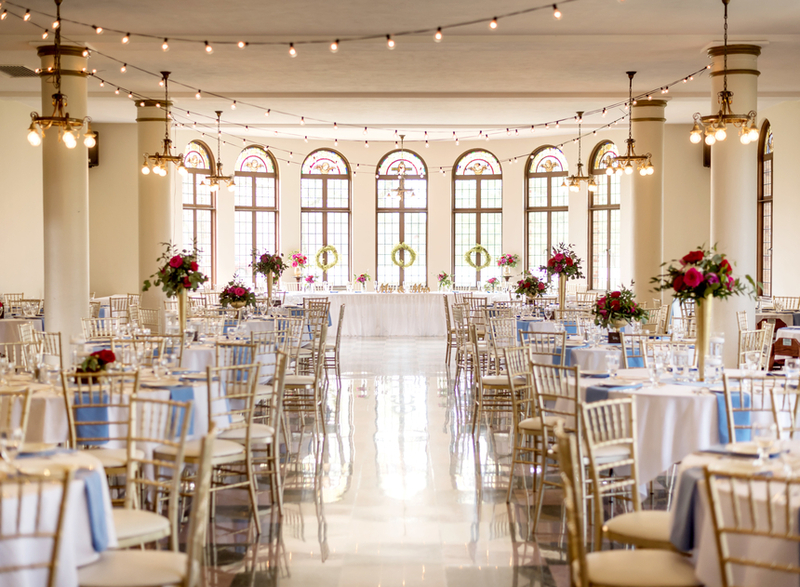 The unique chandeliers add to the spacious beauty of the hall while the simple architectural lines provide a touch of elegance. The balcony offers guests a wonderful place to sit and view the activities on the dance floor while the large windows on the balcony and floor offer the best view of Nazareth Hall’s tranquil grounds. 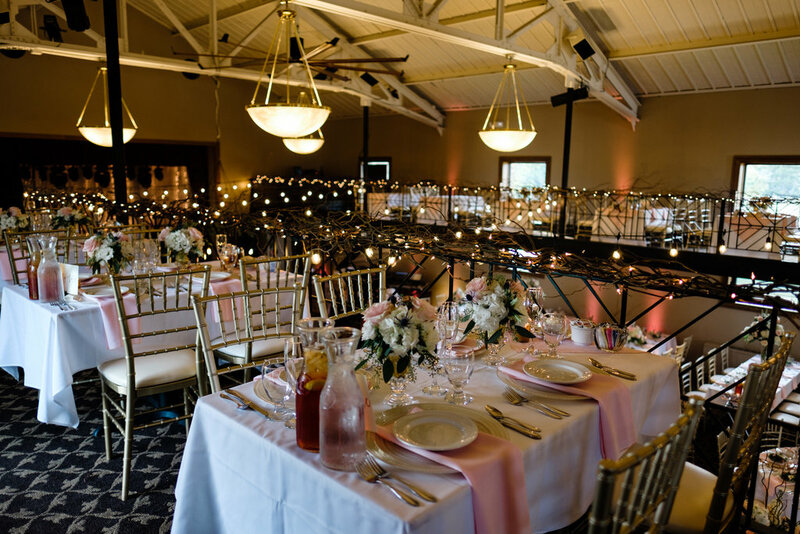 There is also plenty of space on the main floor to accommodate a number of guest tables and the venue can easily be transformed depending on the style of your wedding. 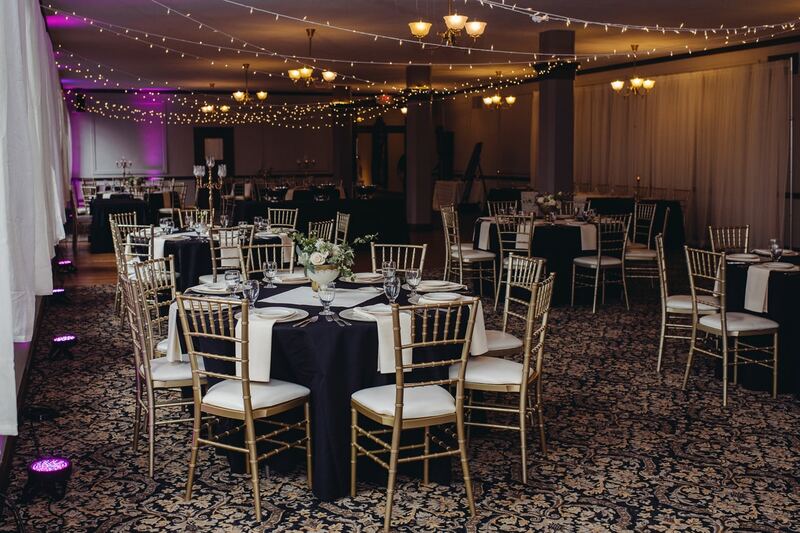 Our Cadet West Ballroom is the epitome of elegance. 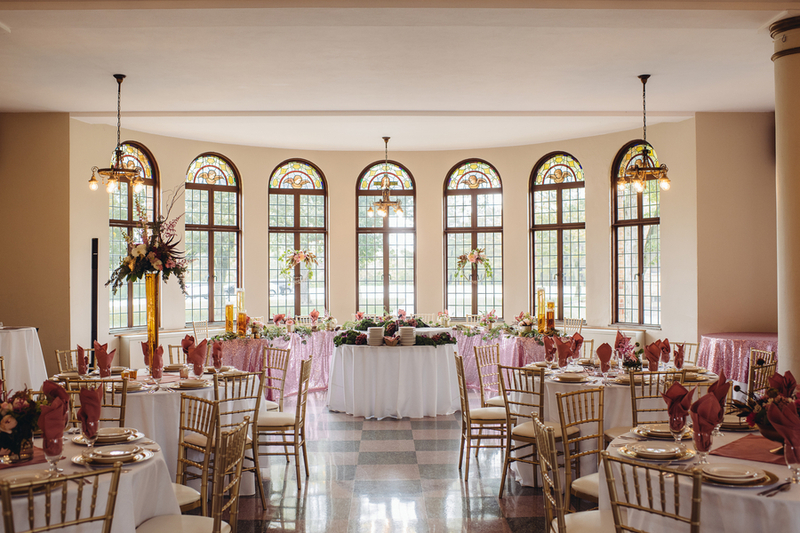 Original stained glass, marbled columns and brass chandeliers grace this beautiful ballroom. Cadet West’s numerous windows bring nature indoors and make this the lightest of all the rooms. 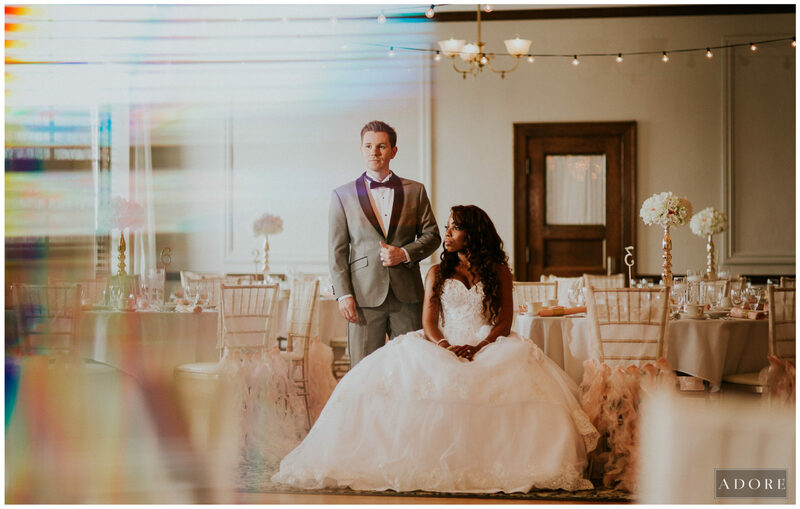 The windows are transformed by the vibrant colors of the setting sun. 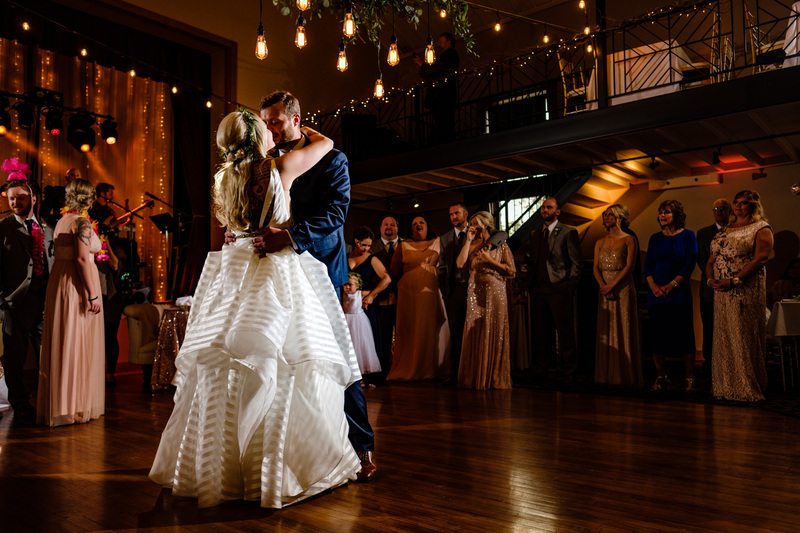 During daytime events, natural light shines in through the windows, offering photo opportunities you cannot find anywhere else. 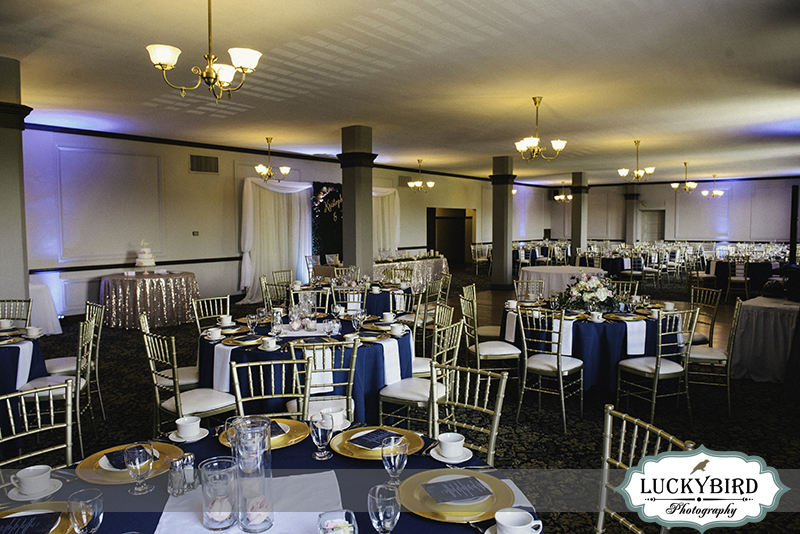 During nighttime receptions, the room looks lovely bathed in soft candlelight or fun up-lighting. 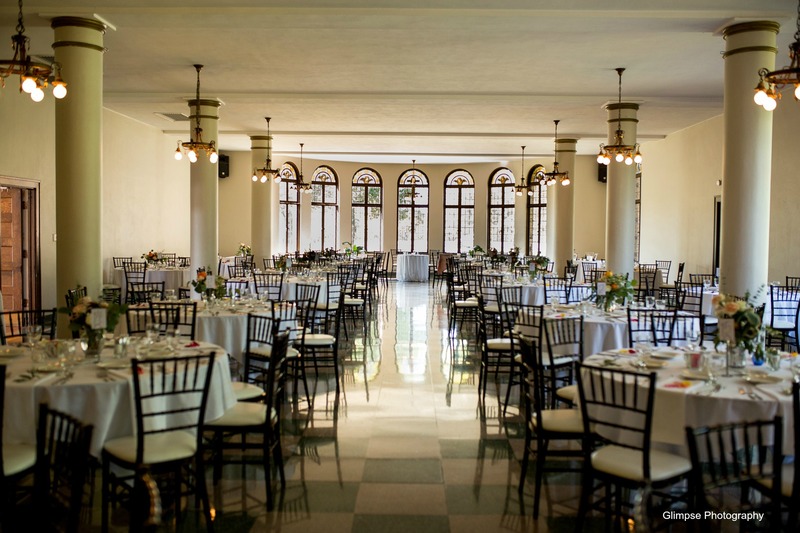 Our Gabriel Ballroom is both intimate and versatile. 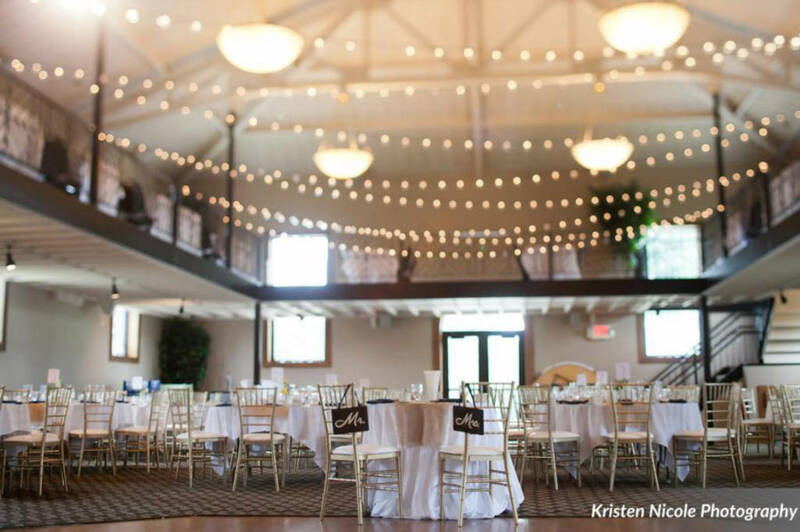 During evening events, flickering candlelight and overhead string lights help create a romantic feel. 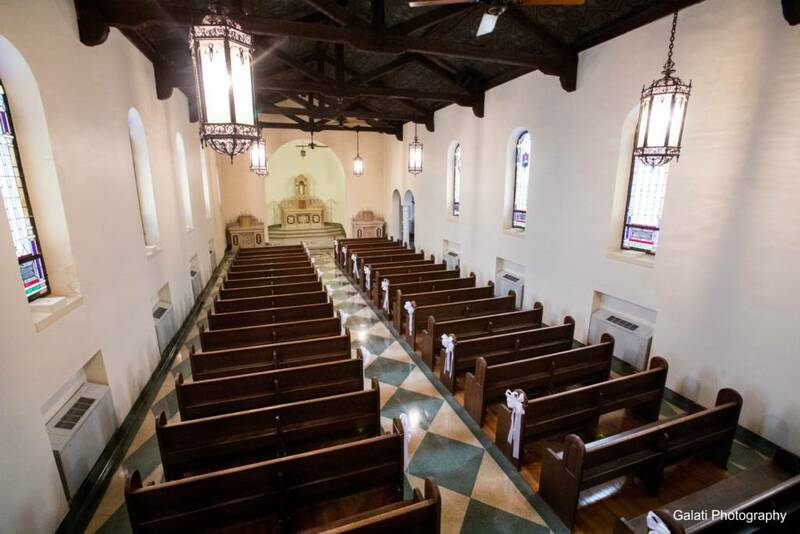 During the daytime, natural light shines through the large windows, illuminating the room. 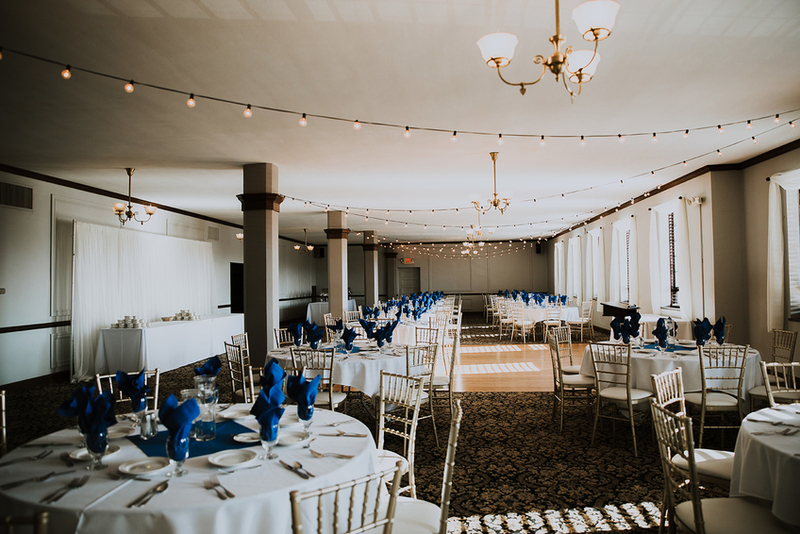 The room’s comfortable size and private location on the second floor makes it the perfect location for a variety of events, including wedding receptions, business meetings, holiday events, class reunions and Greek formals. 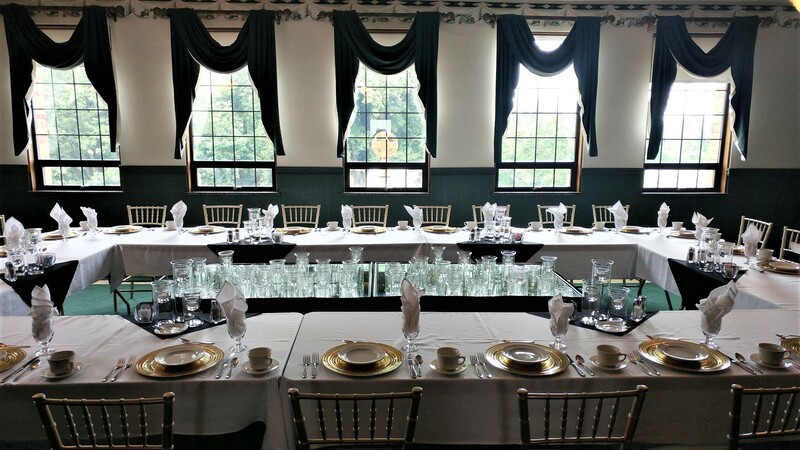 Included with Nazareth Hall is a pipe and drape backdrop that perfectly compliments the head table! 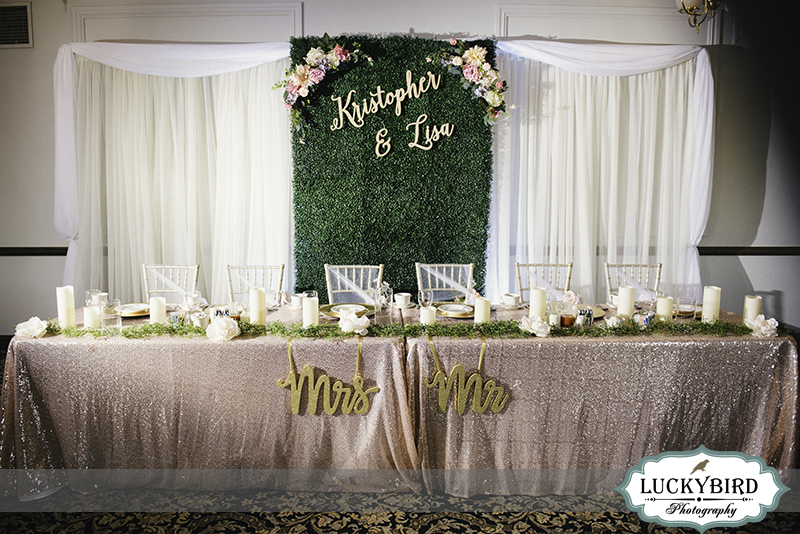 Dress it up or keep it simple, this ivory backdrop will add a personal touch to your ballroom. 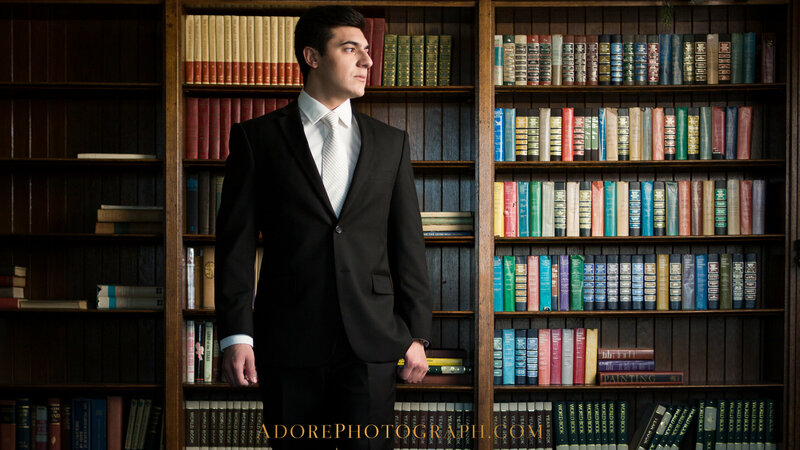 Our Riverview Library is as richly decorated as our other rooms, yet provides a more intimate setting for smaller groups. 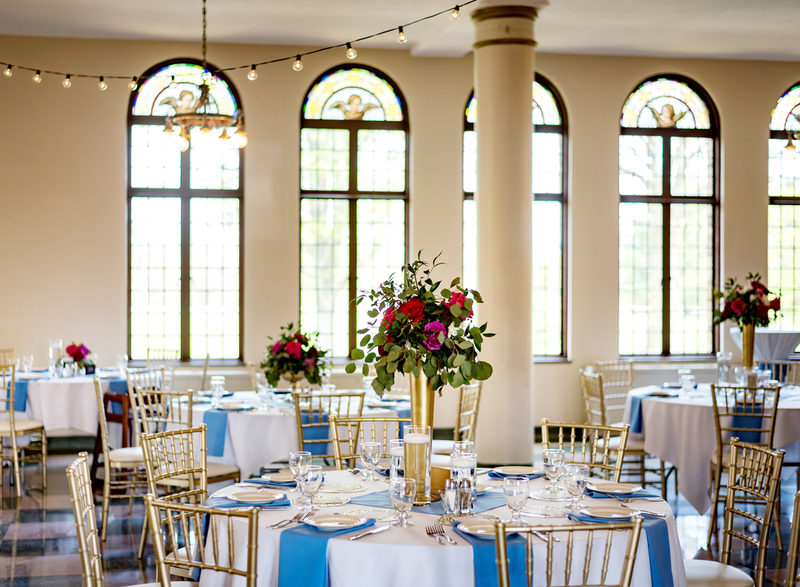 The north windows provide a scenic view, spanning across Nazareth Hall’s front lawn to the peaceful Maumee River. This dining room is perfect for a bridal or baby shower, graduation party, bridesmaids’ luncheon or a rehearsal dinner.